Joanne King Herring, the woman Julia Roberts portrayed in the motion picture Charlie Wilson’s War, presents her never-before-told candid narrative with co-author Nancy Dorman-Hickson. This inspirational first-person account is equal parts Gone with the Wind, Lawrence of Arabia, and The Devil Wears Prada, detailing Herring’s three marriages, her work as host of a daytime Houston television show, and her colorful life in the arenas of celebrity, fashion, and politics. 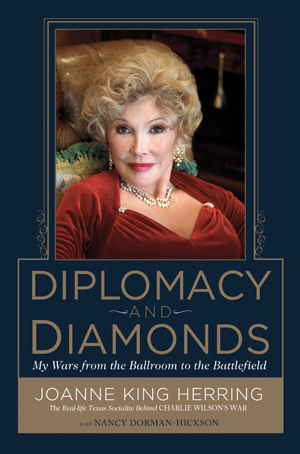 The full and frank memoir covers her remarkable experiences as a Texas socialite, philanthropist, businesswoman, and international political activist. She’s hobnobbed with George H.W. Bush, Barbara Walters, Margaret Thatcher, Tom Hanks, Oscar de la Renta, and Francisco Franco. She’s survived a helicopter attack in the mountains of Afghanistan while filming the atrocities inflicted by the Russian forces. (The pivotal footage helped persuade America to secretly arm and fund the tribal warriors fighting the Red Army.) Today, she continues to use her numerous connections in government, Hollywood, and the fashion industry to make an impact upon the world. Her tale goes far beyond dishy namedropping–Sean Connery, Frank Sinatra, and Tom Hanks among them–though that is certainly one of its guilty pleasures. Yet Herring’s life story is also a witty, nuanced narrative that goes to the heart of the human experience . . . a surprisingly relevant example of the power and potential of an individual life in today’s America. 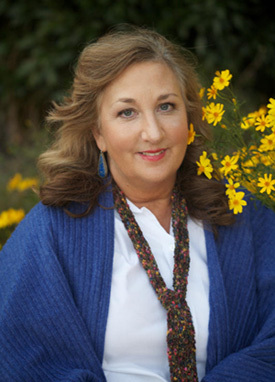 The book was ghostwritten by Nancy Dorman-Hickson from transcripts of interviews with the book’s narrator who experienced violence in her childhood. “My earliest memory of family violence dates to kindergarten. I was sitting on my parents’ bed in the parsonage next door to the church where my dad pastored. My mother began accusing my dad of having a sexual affair. I remember being very confused and afraid of their anger. 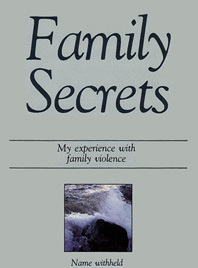 Family Secrets is a first-person account of a child growing up with family violence. It is distinguished from other books on the subject in that the events took place in what appeared to be a “model” home. But the story is not an act of revenge. No names are mentioned. It is the author’s desire that, as readers become aware of such secrets, more questions will be asked and more help given. The book concludes with suggestions for coping and a resource list for further reading.